Overvalued housing markets in several Canadian cities and high household debt poses a "clear and present danger" to Canada's economy, the TD Bank warned in a report Friday. Overvalued housing markets in several Canadian cities and high household debt poses a "clear and present danger" to Canada’s economy, TD Bank warned in a report Friday. The study by the bank’s chief economist, Craig Alexander, proposes the government introduce measures to keep personal debt levels from rising further. The report flags Vancouver as the market with the greatest risk of a housing price correction, because of an influx of foreign buyers, likely in the order of 10 to 15 per cent. 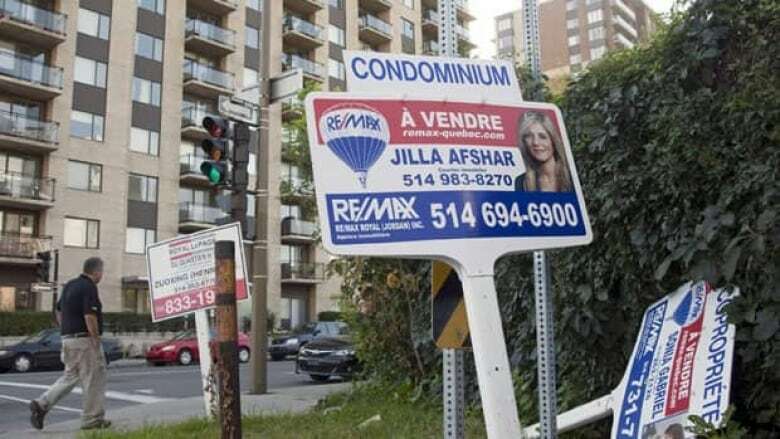 Toronto could also see a drop in prices because of overbuilding in the condo market, which raises questions about the ability of the market to absorb the new listings or find renters for all of the investment properties. And all cities are at risk, Alexander says, when interest rates eventually rise from their present "exceedingly" low levels. Household debt growth over the past decade has been fuelled not as much by credit card borrowing, he said, but largely by loans secured by real estate, in particular home equity lines of credit. The ratio of debt-to-personal disposable income, which is now above 150 per cent, Alexander predicted, is likely to reach by late next year the 160 per cent peak experienced in the U.S. and the U.K. before their real estate corrections occurred. With interest rates expected to remain low in both Canada and the U.S. as the recovery limps along, banks are expected to compete for lending business. The answer is not, Alexander says, for banks to agree to lend less. "To do so would be collusion," he said, "and it is illegal." When rates do return to more normal levels, higher by two to three percentage points than they are now, the bank estimates more than one million Canadian households, or about 10 per cent of those that currently have debt, will have to devote 40 per cent or more of their income to making their monthly debt payments. The Bank of Canada calls that a level that puts households in a financially vulnerable position. The number will climb, Alexander says, if debt growth continues at its current pace. The report proposes several options for heading off further growth in household debt. One is to shorten the maximum amortization on mortgages from 30 years to 25. A second possibility is to impose a sort of stress test on borrowers in order to qualify for a mortgage. Alexander suggests requiring borrowers to demonstrate they could handle interest rates in the order of 5.5 per cent. And another option would be to require applicants for home equity lines of credit to demonstrate their ability to pay it off in 20 years. Finally, the minimum down payment for a mortgage could be raised from five per cent to seven. Implementing all these measures gradually, says Alexander, would be "sensible for the long-term, and not just in the current environment."